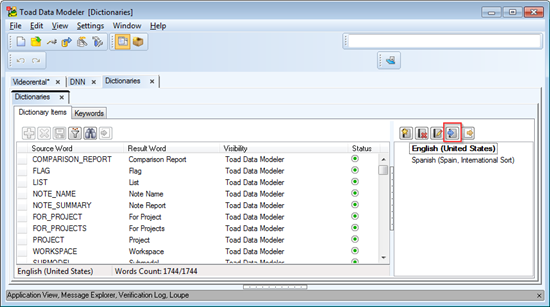 Run Toad Data Modeler and click Settings | Dictionaries. New tab Dictionaries opens. 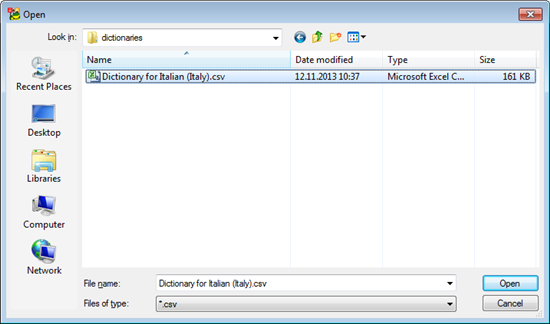 Make sure sub-tab Dictionary Items is active and click icon Import Dictionary. All imported words will be displayed. If no change is necessary, close the Dictionaries tab and generate HTML report. 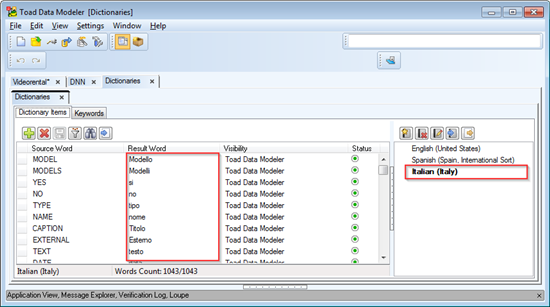 Click Model | Generate Report | Report Wizard ... and in step Select Report choose newly added language item. 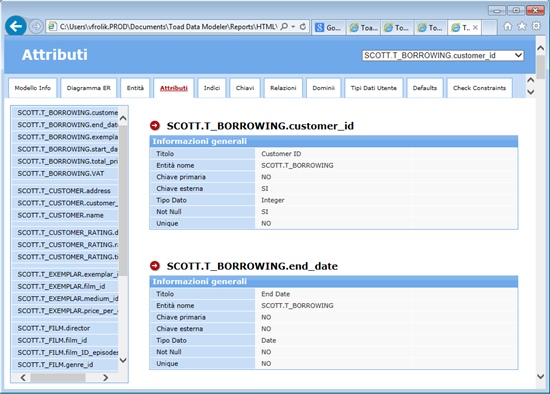 Define other settings in the Report Wizard. 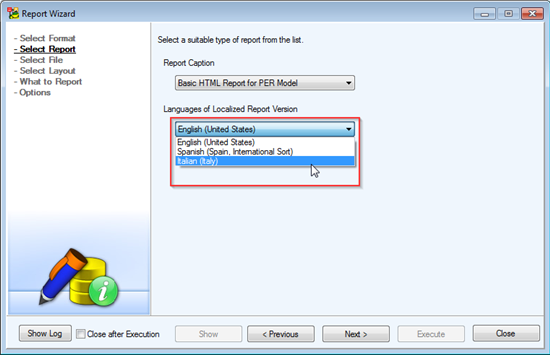 Click Execute to generate the report and then click Show. The localized report opens in your browser.